Over the last decade Arsenal have used numerous defensive midfielders, all failing to impose themselves one after the other. From the frail Denilson to the ill disciplined Alex Song, they were all unable to offer the required protection and aggression. This season Arsenal finally found the right man in Francis Coquelin, who brought balance and security to an attack-orientated team. This enabled the creative players to flourish and sparked an idea in Wenger's head, maybe we need another one of these. Many have speculated over why the team needs another protector and who this should be? Coquelin re-entered the Arsenal team December 2014 and made a vital contribution which led to an much improved Arsenal. One thing for certain the Frenchman earned his place in the side and should not be replaced, however this is a long season which could last 50-60 games. Coquelin needs help, rotation would keep him fresh and give Arsenal the tactical edge of having two different defensive general's to choose from. For example, Coquelin lacks height, a tall midfielder could be a good option to use against the likes of Fellaini. Against more physical teams like Stoke, the gunners may benefit from playing two defensive minded players in the centre. So who are the contenders? favourite is the heavily-linked French enforcer Morgan Schneiderlin. Next the new kid on the block, Geoffrey Kondogbia. Then we have a dark horse, Grzegorz Krychowiak. All three players have the ability and credentials to play for Arsenal, but who would best the best fit and represent the most sound investment. Morgan Schneiderlin has made no secret of the fact he wants Champions League football, after trying to force a move last season he found himself grounded at Southampton by the arriving Ronald Koeman. To credit the Frenchman, he got his head down and played football, winning plaudits for stamping his authority in the middle of the park. Schneiderlin shares Coquelin's combative qualities, but also excels in knitting play together in a metronomic sense similar to that of Mikel Arteta. He would be a good signing for the North London club, but a costly one. The fee is likely to be inflated and rise over 20m. Whilst the Southampton star is proven in the Premier League, he has never played for a big club and has no european experience. The gamble may be too great for such a large fee. 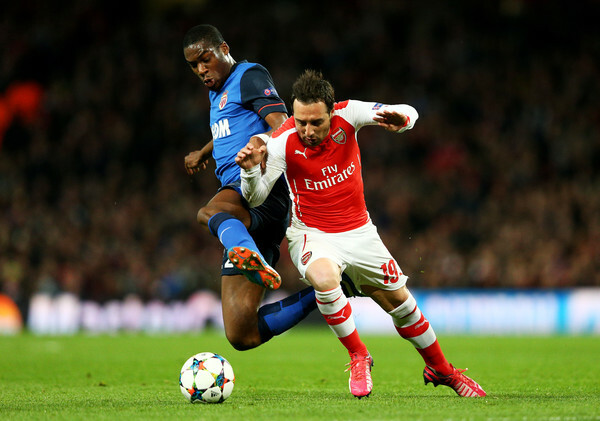 Until this season gone by Geoffrey Kondogbia's career was largely built on potential. After impressing with Sevilla he earned himself a big money move to Monaco. Injuries and loss of form prevented the Frenchman's stock from rising in his first season. His breakout season arrived in 2014/15 with standout performances in the Champions League and Ligue 1, making him one of the most coveted midfielders around. Whilst Kondogbia has all the qualities of a defensive enforcer, he also possesses great ability on the ball, his technique is advanced and would clearly be attactive to Wenger who has tracked his progress since his days in the youth team at Lens. The 22-year-old is desirable, but is yet to grow fully into his potential, you can foresee he may have ambitions as a playmaker, which could conflict with what the team needs, Arsenal have been in this position before with Alex Song. You can't question his ability or experience with big clubs, however, could he maintain the discipline required to play in this position? The last prospect is a long shot, but may represent the line of best fit. Sevilla midfield anchor Grzegorz Krychowiak. Wenger has tracked the Pole since his days in France. In the last season, he has excelled in Spain earning rave reviews in La Liga. Krychowiak was the heartbeat of the Sevilla team that retained the Europa League trophy in fine fashion with the Polish international scoring in the final. The Sevilla man brings great balance to his team and is able to impose himself physically. He's also armed with an impressive range of passing, these attributes enable him to dictate the game the way a world class midfielder does. What's most attractive about this proposition is the value for money. Krychowiak could be available for around £15-20m. His relatively lesser known profile may appeal to Wenger as his love for developing unknown players is self confessed. 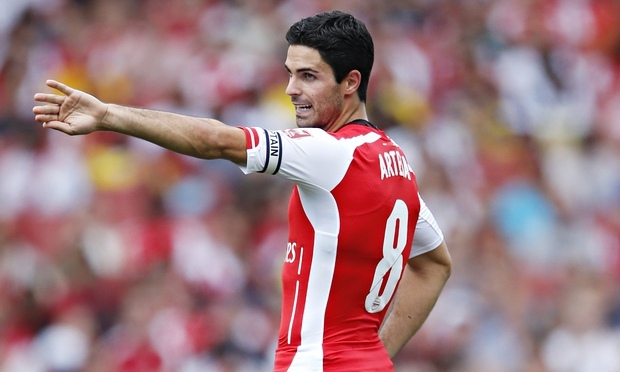 One option Wenger has to consider is his own club captain Mikel Arteta. There is an argument to say if the Spanaird could prove his fitness this summer he could be a good squad player and back up to Coquelin. Whilst the captain's reading of the game and passing are of a high standard, the worry is Arteta does not have the engine to cope with the fast paced movement of the Premier League. Historically, if Wenger does not find value in the market, he will stick with what he's got. This was most evident last summer with the issues around signing a centre back. Any one of the three players mentioned above have the potential to make Arsenal strong and secure in the middle of the field, Lets hope Wenger's negotiation skills are sharp this summer as they were the last.